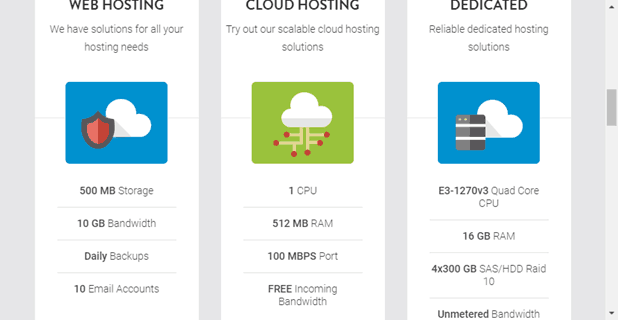 Code Blue Hosting Review 2019: Is Code Blue Hosting a Good Hosting? Code Blue Hosting is a web hosting company based in Canada with offices in the U.S. as well. It offers secure web hosting services to both individuals and businesses. Code Blue Hosting Hosting is a privately-owned web hosting company that was established in 2012 and is based in Georgetown, Ontario. It offers reliable and safe web hosting services, and its website is available in English. Code Blue Hosting is a web hosting powerhouse with services in cloud hosting, web hosting, dedicated hosting, SSL certificates, and domains. It features some of the market’s leading high scalability and high performance technologies such as LiteSpeed Web Server, CloudLinux to give you a fine grained control in account isolation, cPanel for a simplified web hosting process, and Softaculous to enable fast installation of applications. It offers four web hosting plans, with their most basic one featuring 500MB premium storage, 10GB bandwidth, five MySQL databases, ten email accounts, and five FTP accounts with a free and easy upgrading process between plans. All of the shared hosting plans are designed to serve all businesses, ranging from corporate websites to simple blogs, and every resource entailed in them is guaranteed. These plans also have a guarantee of 99.99% uptime and are backed with 24/7 customer support. Interestingly, you don’t need to have lots of web design knowledge to get started with Code Blue Hosting; it is user-friendly and beginners should have an easy and enjoyable time setting things up with the help of the easy to use cPanel. As far as your data protection is concerned, free SSL certificates with Let’s Encrypt are available across all shared hosting plans. Moreover, there are also virus scanning and reporting tools to enhance your online protection and uptime. Code Blue Hosting also offers domains at very low costs and services which include domain registration, domain renewal, domain transfer and top-level domains such as .com, .info, .net, .biz among several others. They use WHOIS to protect critical information and offers DNS control. In comparison to its major competitors, Code Blue Hosting offers very affordable packages for all four shared hosting plans, with the cost of the basic starters plan being almost equal to that of a candy bar. Despite this, it’s somewhat disappointing that it doesn’t have multiple-domain hosting and its premium storage is quite limited as well. However, there are free account migrations within 30 days and you can choose to request a custom quote. The current most preferred billing term is monthly, but options for biannual and annual payments are also available for all plans. Payments can be processed by check or through PayPal. 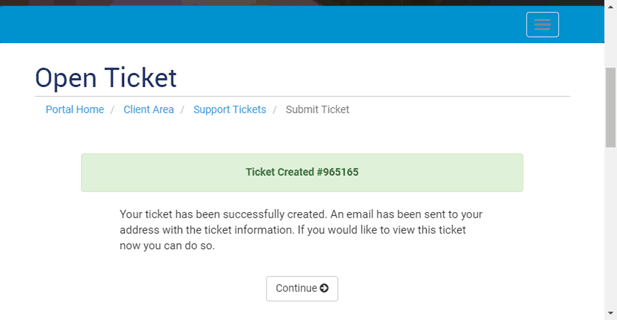 The support team offers 24/7 assistance to its clientele, and you can contact them either by submitting a ticket or sending an email. I, personally, found their response time to be inadequate as I submitted a ticket inquiring as to whether there was a money-back guarantee and didn’t receive any response. Code Blue Hosting is a Canadian-based web service provider that accommodates all businesses ranging from simple personal blogs to corporate websites. It offers high performing hosting services with great features designed to suit beginners with limited technical know-how. Wondering how Code Blue Hosting stacks up against other Web Hosting companies? Enter any other Web Hosting company and we will give you a side-by-side comparison.